If you can’t get where you need to work, you can’t get to work. essential step in any big project. 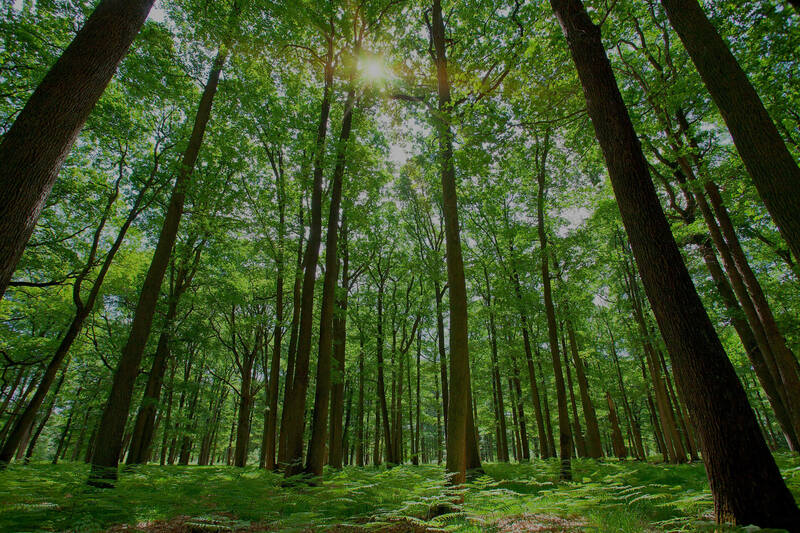 is environmentally friendly from start to finish. 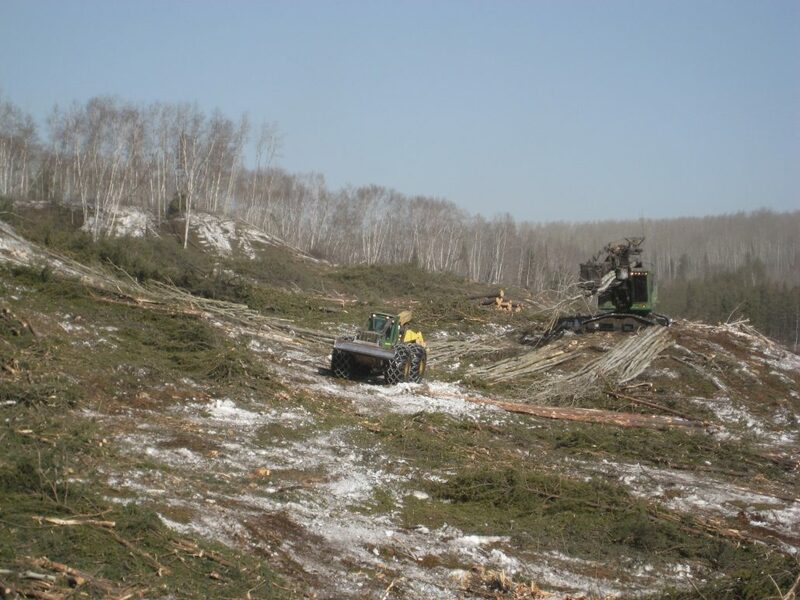 Bear Access and Environmental is Western Canada’s leader in environmentally friendly land clearing. 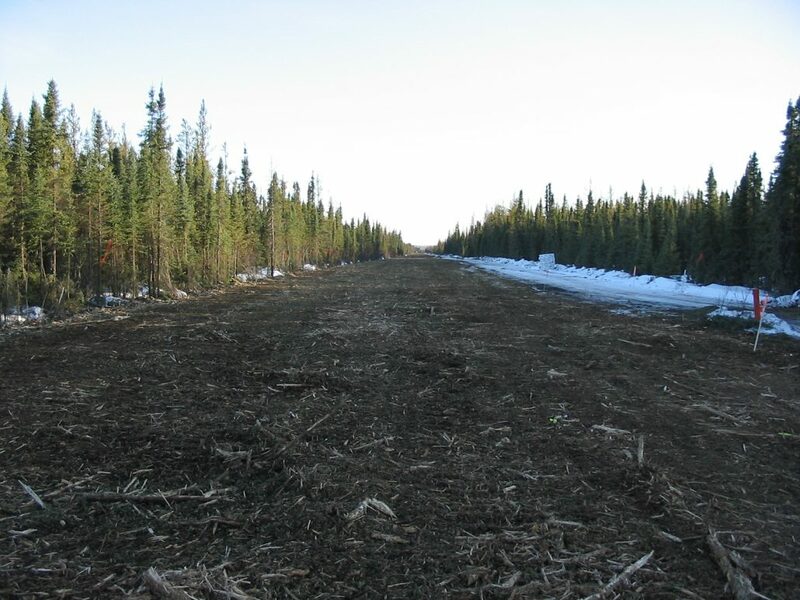 Danny Dion, President of Bear Access and Environmental, pioneered the use of mulching equipment in the oil and gas industry, creating an efficient, effective, environmentally sustainable approach that has revolutionized the land clearing process. 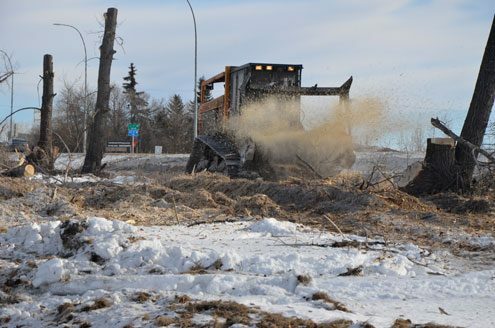 Today, we operate the nation’s largest and most modern fleet of land-clearing equipment, operated by skilled professionals who know how to achieve the best possible results. We utilize state-of-the-art technologies and resources that can be pulled into play to meet the unique needs of your project. Bear Access and Environmental takes pride in pairing the right tools with the right personnel to handle anything Mother Nature throws our way! All our services address our customers’ needs in the most environmentally responsible way possible – at every stage of the project. This helps you fulfill your own regulatory obligations and makes sure your projects move ahead on time and on budget. Over the past 35 years, our skills, expertise and equipment have been put to use for clients in virtually every industry that requires access and environmental services. Many of those clients have been with us from the start, and stay with us because they know we deliver exceptional service and results. Bear understands the challenges of working in the increasingly complex energy sector with its constantly evolving regulations. Our decades of experience in the oil and gas sector – where we pioneered the use of mulching – means we’re able to tackle any job of any size. 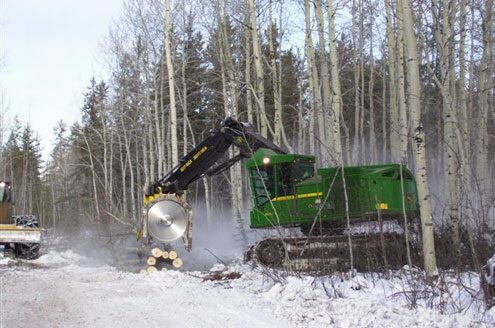 Western Canada’s forestry industry is ideally suited for Bear’s fire-free land clearing solutions. We offer a safer, more effective way to deal with everything from Pine Beetles to wildfire prevention. Removing vegetation is the crucial first step in any construction project. Bear Access’s mulching equipment combined with our three decades of expertise, clears your site quickly and safely so you can get to work. When it comes to clearing spaces for recreational use, you want to maintain the natural beauty of the site. Bear Access’s experience with selective logging and narrow width mulching creates spaces that are ideal for any recreational purpose. When it comes to clearing spaces for commercial use, Bear’s experience with logging and mulching means we’re able to tackle any job of any size and create a space ideal for your commercial needs. From greenfield utility installations to brownfield maintenance and cleanup, Bear’s service solutions are founded on strong community and local landowner engagement programs. We ensure community impact is a priority in our project initiation, management and execution. Our power services include community engagement, landowner and stakeholder relations, access solutions for powerlines, vegetation maintenance and reclamation solutions. Bear cut one of the very first trees to kick off this five-year clearing project that concluded with 4,700 hectares of area cleared. Kearl Lake was one of our largest clearing footprints completed to date. Main areas cleared consisted of Compensation Lake, powerlines, raw water intake pipeline and the main mine site. 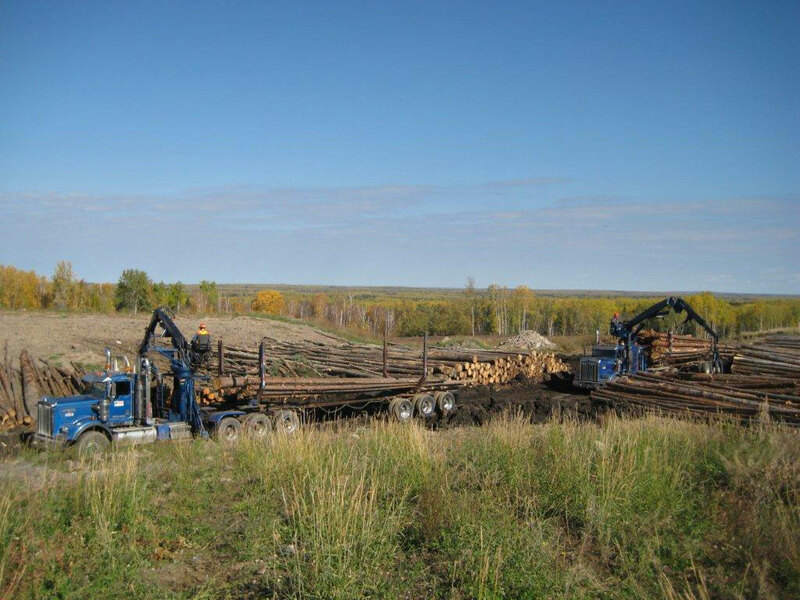 Timber salvage, mulching, pile and burn in specific areas, and timber haul were completed to make this project a success for all. In May 2016 a fire break of the Wapasu Camp – consisting of mulching a wide area all around the camp – was completed to minimize the risk of forest fires. This project came with a multitude of work scopes; from access preparation, timber salvage, log haul and brush mulching to environmental limitations of access and weed control, washing of all equipment and vehicles, fencing and gate construction. 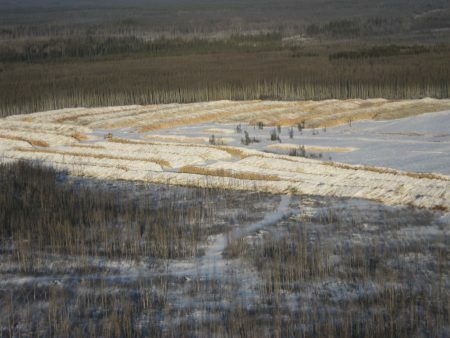 Bear’s portion of the project was constructed from Structure 1 to 339 and was approximately 122 km long and 251 hectares in size, which crossed a mass of individual landowners. ROW preparation and various access related activities including: Alberta first calls and management of all these, building temporary and permanent approaches, installing gates, building and removing fences, and fence grounding. 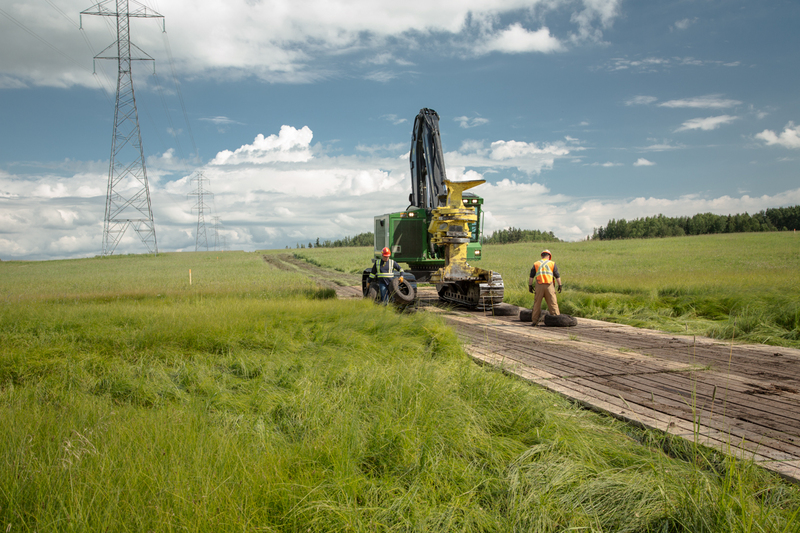 We were also responsible for snow removal, building winter roads, installing erosion protection, constructing watercourse crossings, installing culverts, rig matting over existing pipelines, operation and maintenance of ROW access approaches and access matting installation and removal within wetlands. 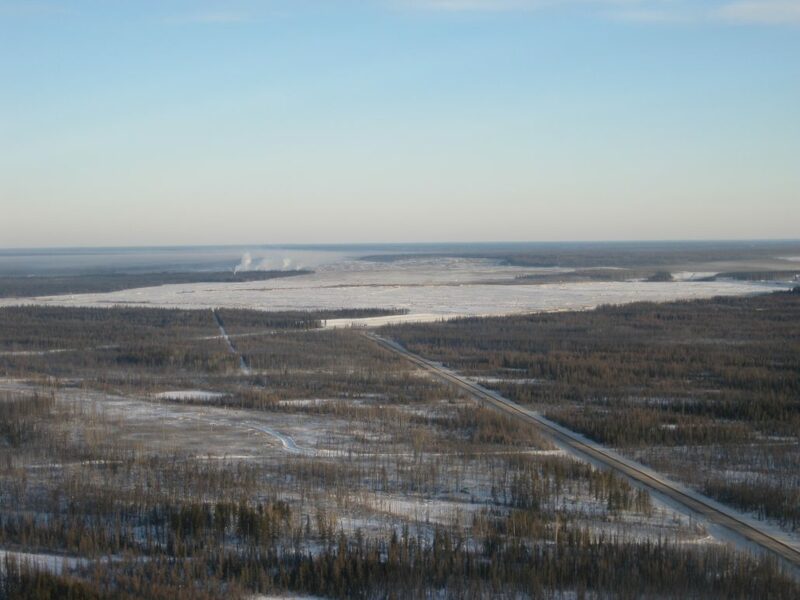 The Japan Oil to Cheecham terminal project spanned from Highway 881 to Highway 63, within the vicinity of Fort McMurray’s surrounding communities. The project came with the major challenges of crossing both highways, plus going over Stoney Mountain. Timber was skidded extra distances so it could be hauled off ROW to saw mill staging locations. 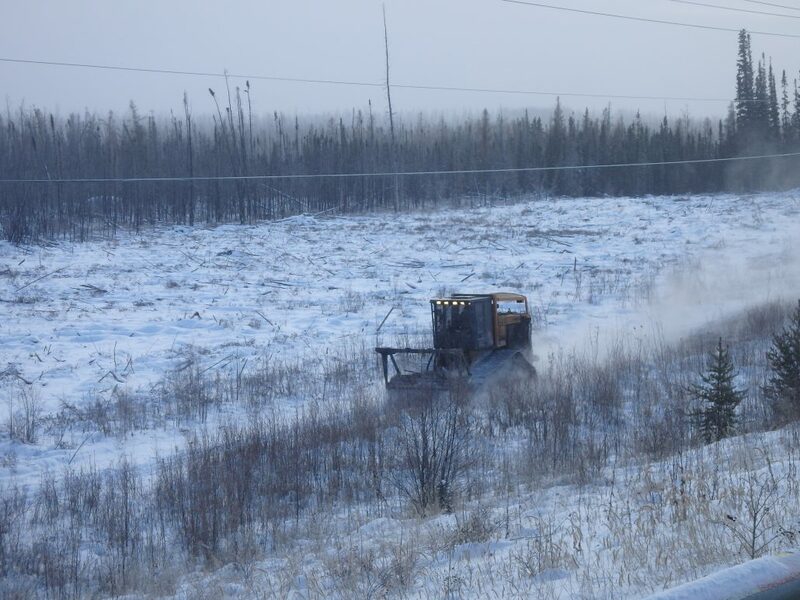 Other obstacles included 35 water and 45 existing pipeline/facility crossings, plus 100 kilometers of ROW and access that was frost packed to gain entry to additional portions of the line to complete the clearing on time. 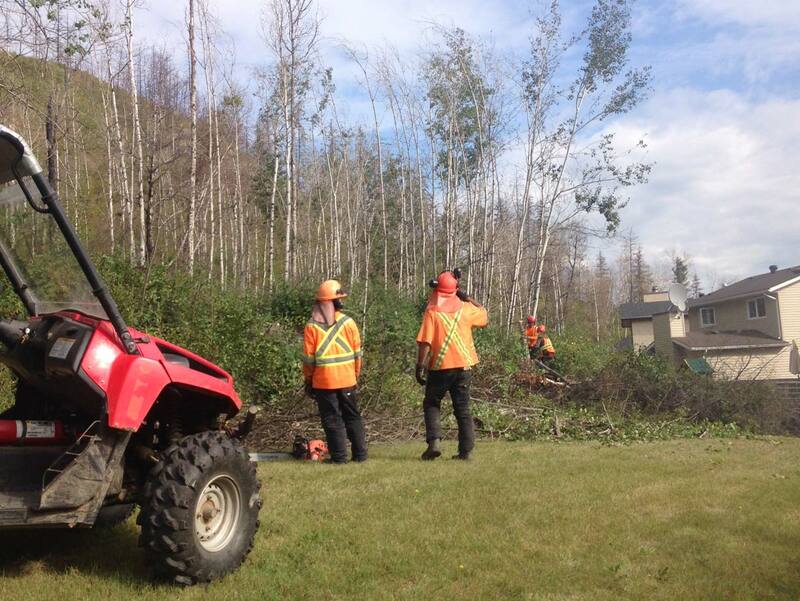 Bear managed all work aspects of this 1100km program, from project management, administration, survey and mapping, shot hole drilling, and line cutting, to slashing and hand cutting within steep terrain to riparian areas. The program had a main creek, logging areas with PSP plots, facility roads and a major highway to maneuver around. Drilling was completed by two subcontractors, the survey by another, and mapping was generated in-house with our Site Survey Division. This project consisting of three separate power lines totaling 183 km awarded in early March to be completed by the end of the winter season. 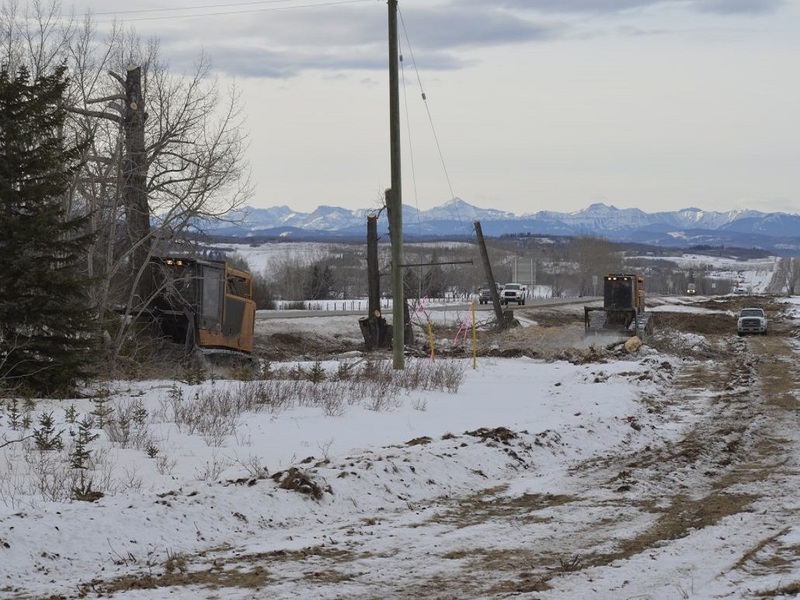 The scope of work included Alberta one calls, existing pipeline crossings, water and creek crossings. Crews were supplied with fuel and personnel carriers for off road support and snow cats to generate access to the remote stretches of the lines. The project was completed successfully without incident and before spring breakup arrived. The clearing of this project was unique and included the challenges of extreme traffic, multiple stakeholders and all types of infrastructure constraints. The clearing consisted of hand-falling dangerous trees within river valleys, tree topping along power lines and major highways and city streets for safe removal. All of the resulting debris was disposed of by mulching. 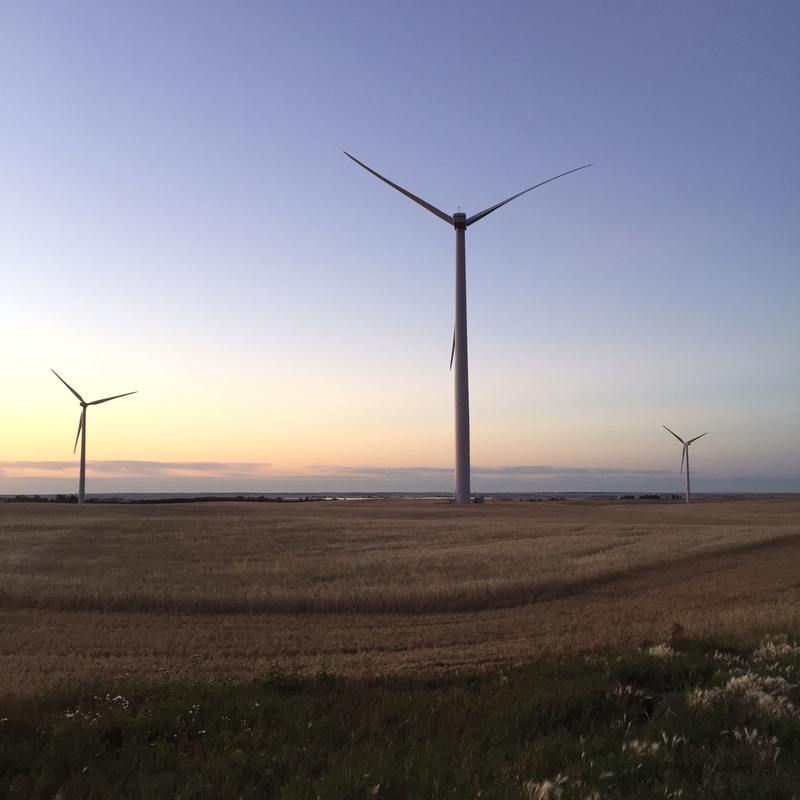 The project was completed over a two-year period – safely with no incidents – both on schedule and within budget. 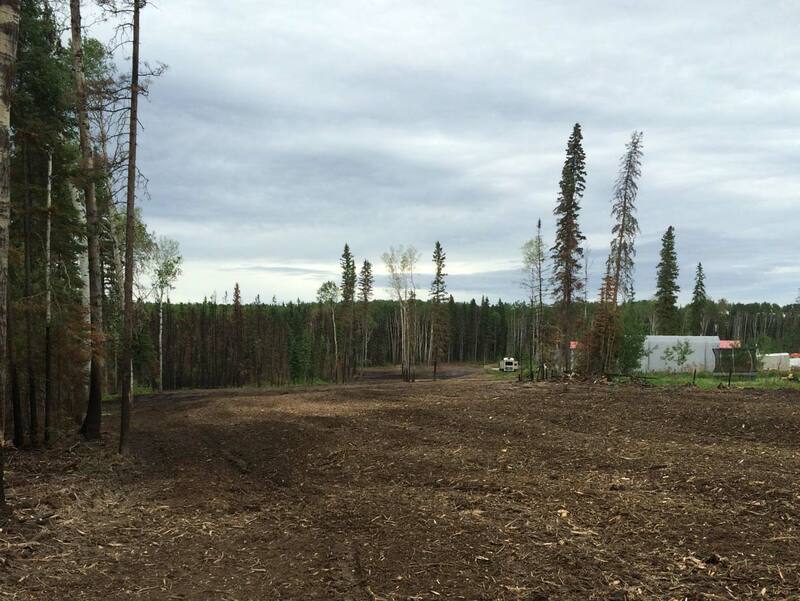 Located in a remote location in northern British Columbia, this project required Bear to remediate contamination and reclaim the site of an abandoned fireside maintenance camp. Our approach was designed to contain and, wherever possible, remediate the soil and water treatment system in the area. 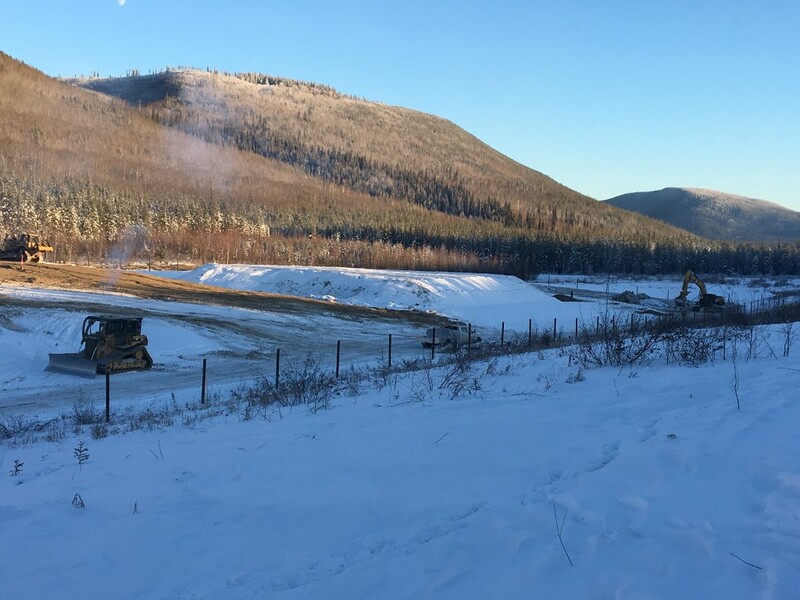 The scope of this project involved seven areas within the Fort Hills mine project totaling 560 hectares, all with individual clearing requirements. The project was particularly challenging as the new area was situated in the hills consumed by ravines and valleys that had to be traversed into and upwards on each of them. Clearing on the steeper areas took additional care and were prepped with spring runoff in mind to minimize erosion. Timber was processed safely on the flattest terrain, and then decked where the log trucks could access to haul them to the local mill sites. 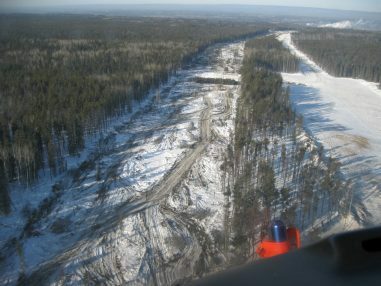 The Clyden project faced a logistical challenge of clearing trees spanning a large area with significant deadfall prohibiting the use of traditional access and pad clearing techniques. 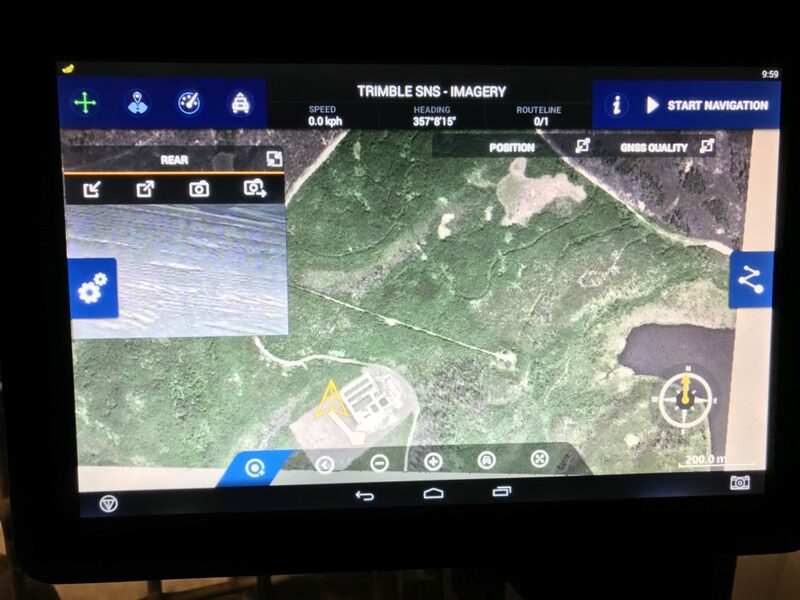 Bear integrated a RTK GNSS navigation/survey system coupled with inertial to clear the project boundary limits without the need of pre-flagging from survey crews. This dramatically reduced risk exposure to the survey crews in the challenging terrain. Through the project, the boundary limits were established with Bear’s navigation system realizing an accuracy of 10-20cm. The logging data from the system was used by the survey company to compile the project as-built package, further reducing the need for survey crews to revisit the areas multiple times. Even with the deadfall challenge in this area, Bear’s innovation was capable of completing the project slightly ahead of schedule and within budget. 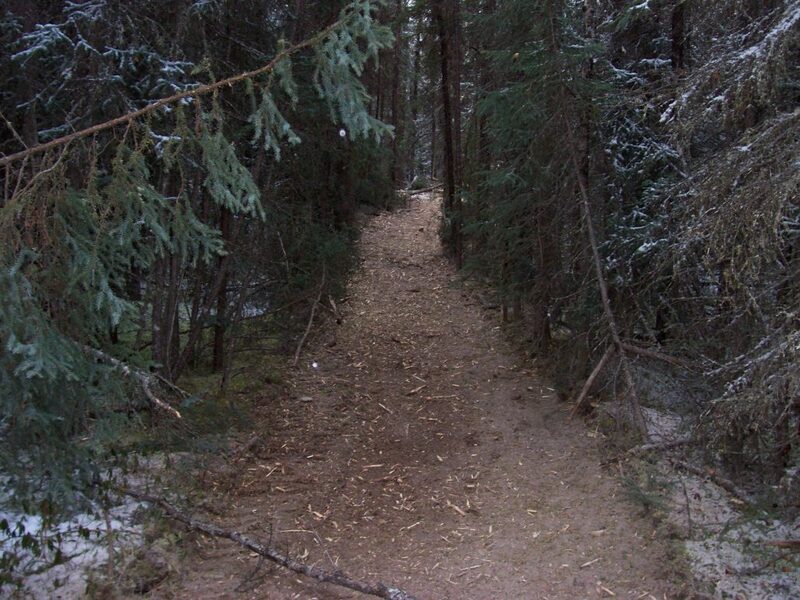 Bear Access and Environmental started with the goal offering environmentally friendly access and clearing services. For us that meant saving trees where we could, logging salvageable trees and eliminating the need for expensive reclamation efforts. Along the way, our founder Danny Dion constantly looked for ways to embrace new standards, utilize more advanced equipment and uphold the highest standards for safety and efficiency. 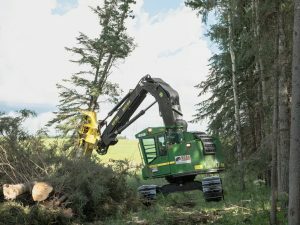 It’s this commitment that has made Bear Access and Environmental the leader of access, mulching, line clearing, site clearing and logging services. As industries evolve – and client needs change – we will continue to expand our expertise and equipment so that our clients can always look to us for safe, effective, environmentally responsible solutions. We know that how you work with people is just as important as how well you work with equipment. Bear strives to build and maintain meaningful and mutually beneficial relationships with the communities where we operate. This helps us understand local culture and customs and ensures the work we do benefits the local economy. Bear encourages participation and recruitment from within the communities where we work, promoting economic sustainability that will last far beyond the project. As part of these efforts, we provide skilled and qualified Indigenous peoples with positions in our operations, helping them develop marketable and industry recognized skills, which may lead to enhanced employment opportunities. We are proud to be an active member of the Northern Alberta Aboriginal Business Association. Contact us via the address, email or phone. © 2019 Bear Access Licensed, Insured and Bonded. 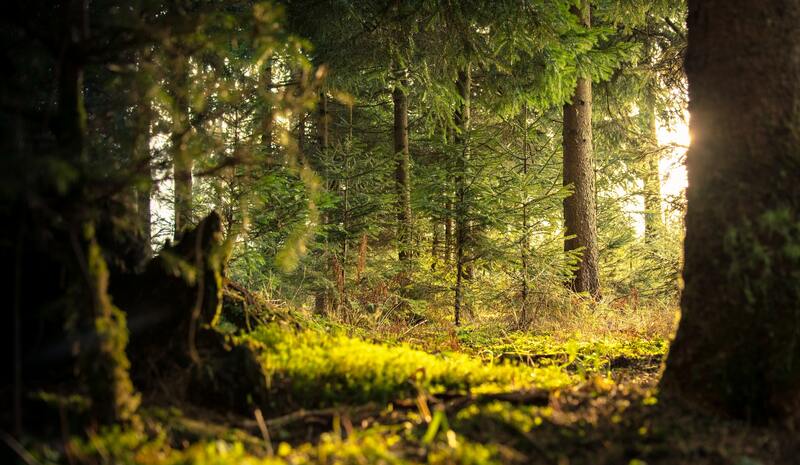 Bear Access and Environmental is your all-inclusive clearing service provider. Bear brings 35 years of experience to the access and clearing process, along with a specialized knowledge of the extreme challenges that are unique to the Western Canadian landscape. When it comes to creating clearing solutions, Bear understands the importance of making sure projects move quickly and efficiently to get you where you need to go. We can organize and mobilize our team and our equipment on short notice, so that you’re never left waiting to get to work. 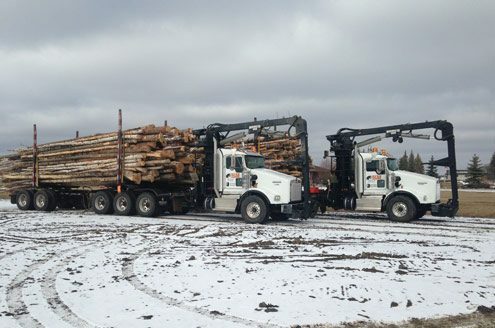 From access, construction and wildlife management, to mulching, slashing, Timber hauling or pile and burn Bear has the technical expertise to tackle any size project. Our experience in matting helps get your people and equipment into the most challenging areas, including through environmentally sensitive locations and over crossing areas. And because we know that projects have to work year-round, we also offer snow-making and winter road and bridge construction services – critical during harsh Canadian winters. Our use of drone technology, GPS and ground penetrating radar makes sure clearing is done safely, efficiently and accurately every time. Bear’s surveyors and field crews bring in-depth technical know-how and practical field experience to every project. We combine industry intelligence and experience, with advanced tools and technologies to deliver precise surveys and GIS mapping products. Whether you need construction staking services and route mapping, or pipeline and well field surveying, we can tackle the toughest, most time sensitive projects. With us, you can trust that your data is accurate and your decisions are well informed. Our state-of-the-art equipment allows us to deliver land measurement and location determination quickly and efficiently. We also utilize dual frequency GNSS (Global Navigation Satellite System) technology, high resolution aerial photography, 3D DEM display with scope alerts and geo-fence proximity alerts for hazard avoidance – all to deliver pinpoint accuracy in our surveying. And once the surveying is complete, we offer Field Map digitization for custom-moving map GPS navigation. Bear takes pride in creating and delivering environmental solutions that help projects move ahead efficiently and responsibly. Projects – much like nature – have a predictable life cycle. Getting things started off right makes sure the work that follows yields the best possible results. From evaluating potential sites, water management strategies, soil excavation and fire prevention, to reclamation and restoration, we do it all. And Bear makes sure every step of the process is planned and executed to minimize environmental impact, solve challenges and ensure efficiency. Remediation – Our experience in the clean-up of contaminated sites ensures your project meets all regulatory requirements and closes sites off efficiently and effectively. This includes a full range of landfill services such as such as excavation, hauling and backfilling. Reclamation – We’re experienced in restoring disturbed land to its natural state at the end of any construction project. From vegetation and erosion control, to soil replacement, hydro seeding and gravel supply, we get things back to the way they’re supposed to be.